We’re making good time in the kitchen. 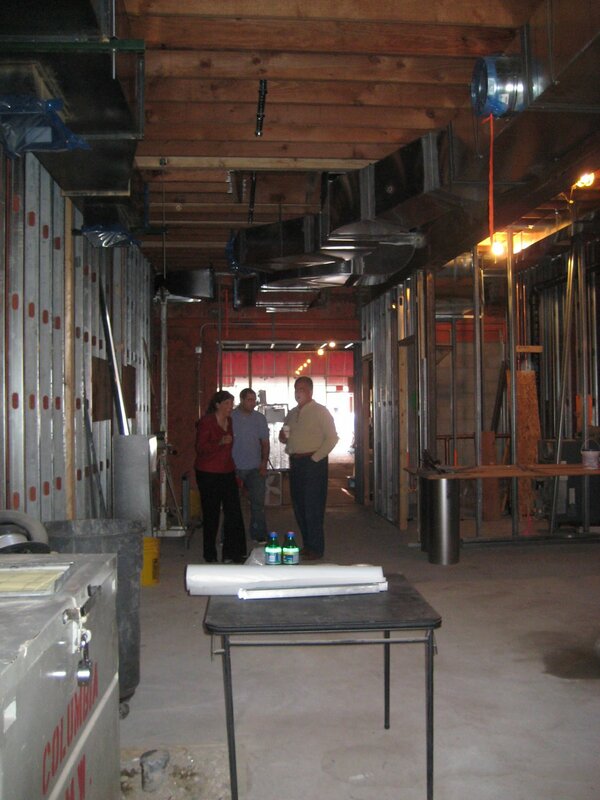 Underground plumbing is in, walls have been framed out, and the heavy duty task of hanging black iron duct for hoods is in the works. 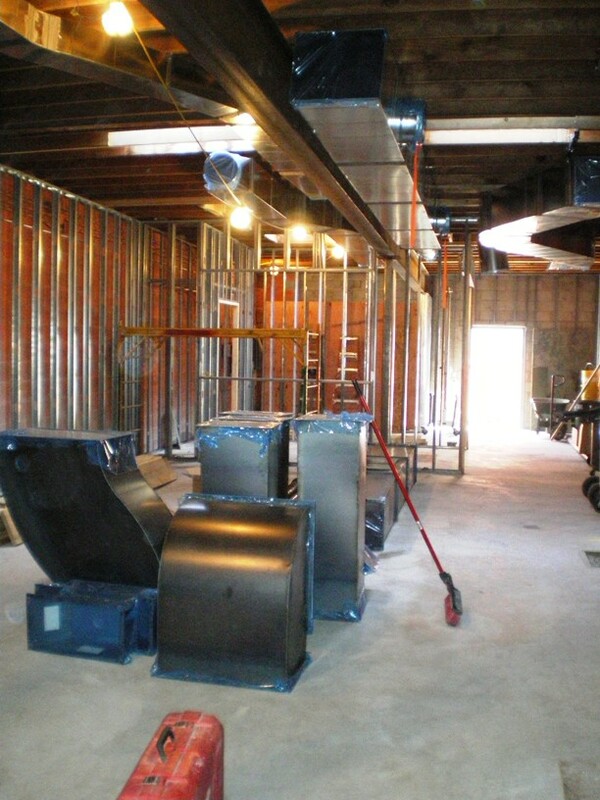 All duct is wrapped at the factory and remains that way until it’s hung, insuring clean ducts and thus better air quality after construction. 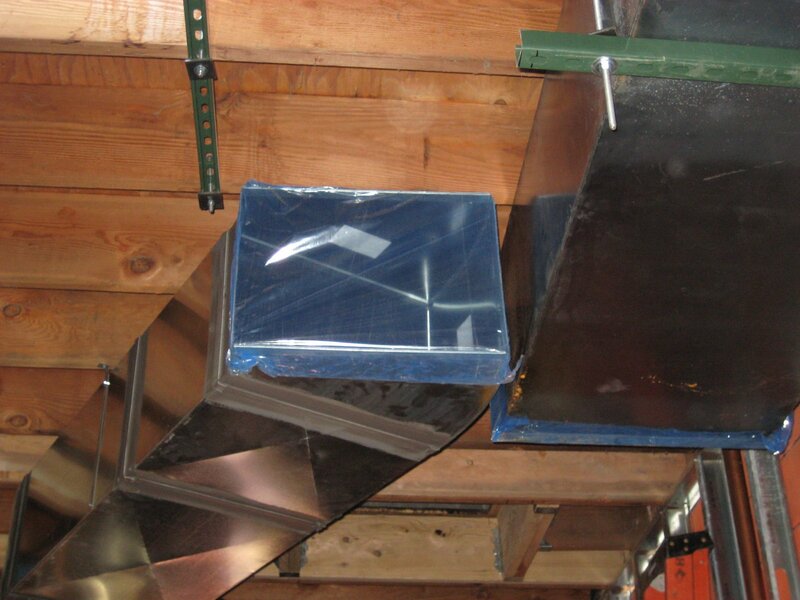 Even though ducts are wrapped, we’ll perform an air quality “flush out” before occupancy that replaces/filters all the air. 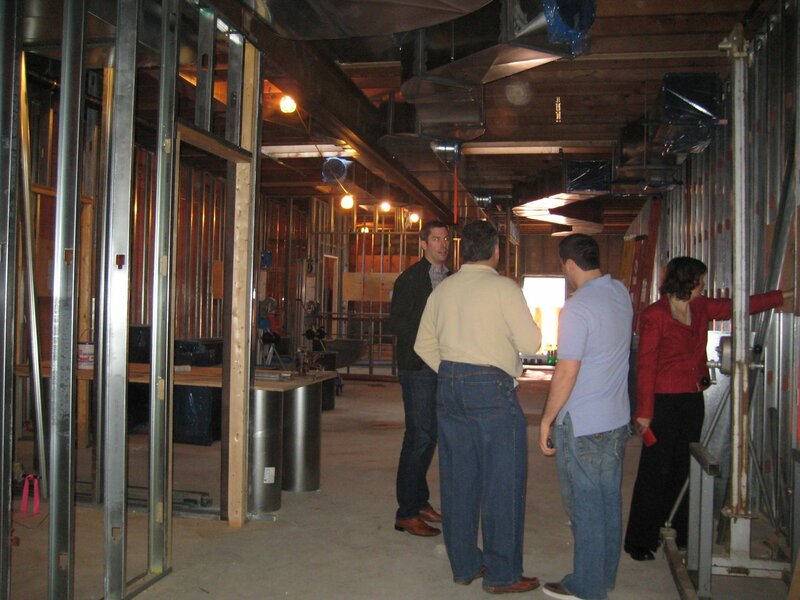 This will insure the best air quality we can deliver for workers and patrons alike. 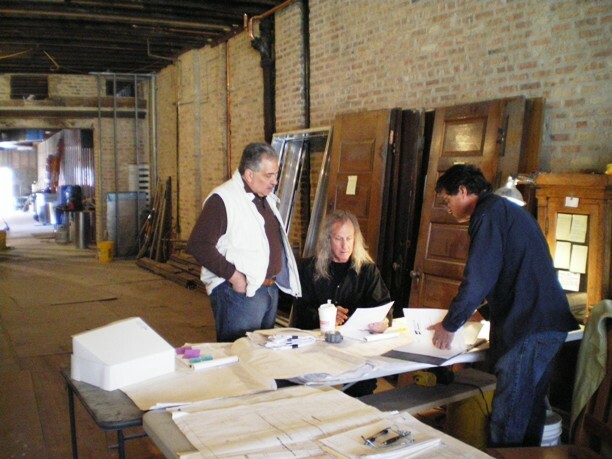 Below, you see the team is reviewing placement of all equipment, making sure the plan measurements match the actual building- in a renovation, there are always little variances, but this group has built many restaurants together, and they are great at it! 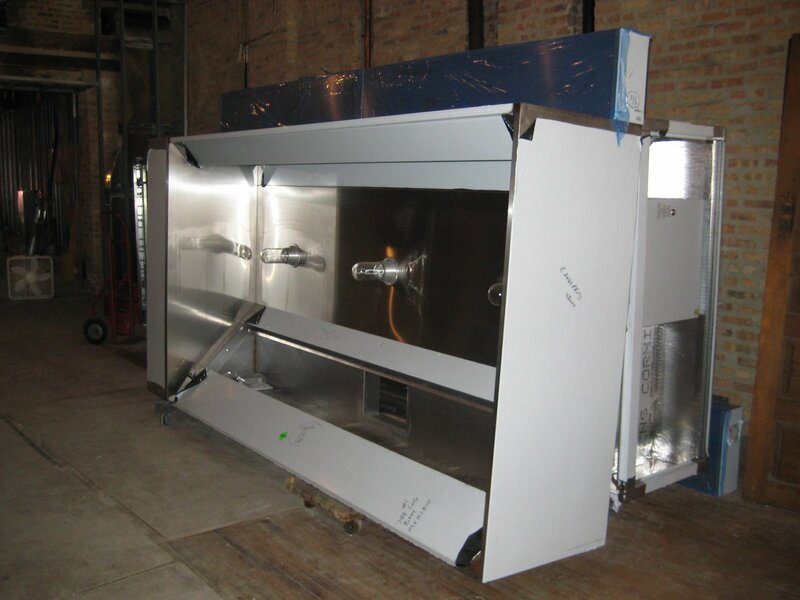 We’ve ordered our hoods and walk-in cooler, four convection ovens and a few other used pieces. 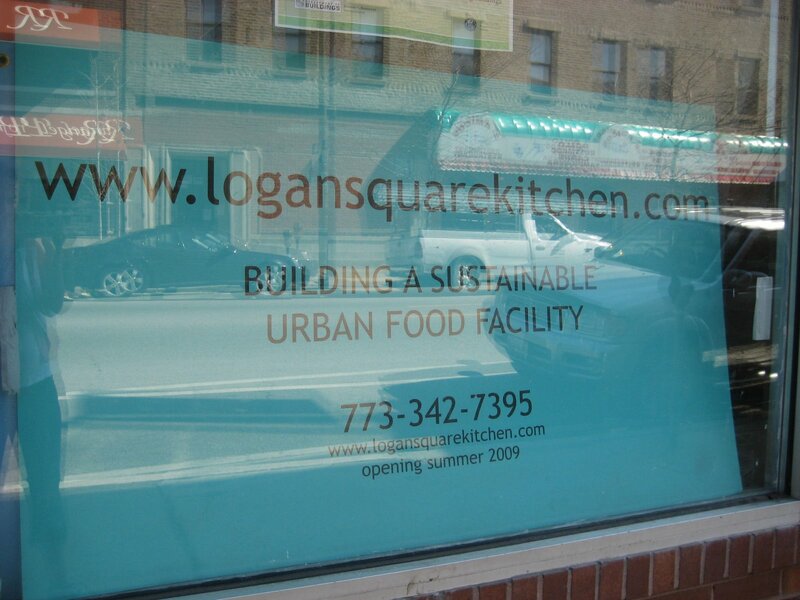 Those old doors stacked in the background were saved from landfill, and will have a new life in the Logan Square Kitchen. 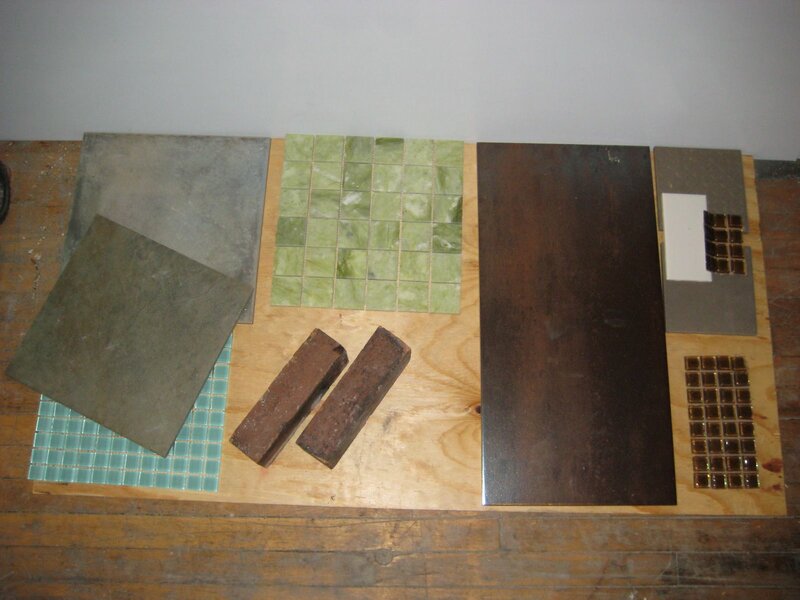 We’ve salvaged many different types of beautiful tile that will be used in the the kitchen and entryway of LSK. 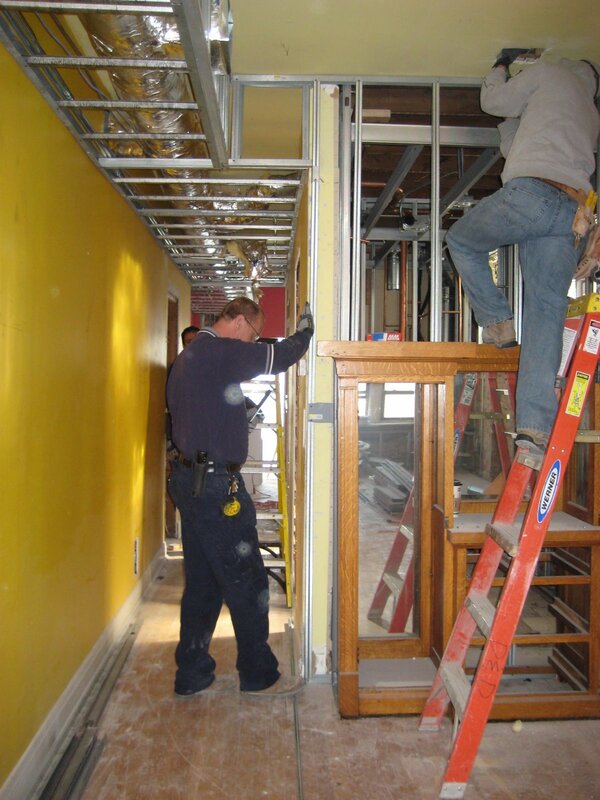 Renovations continue on the upstairs apartments as well. 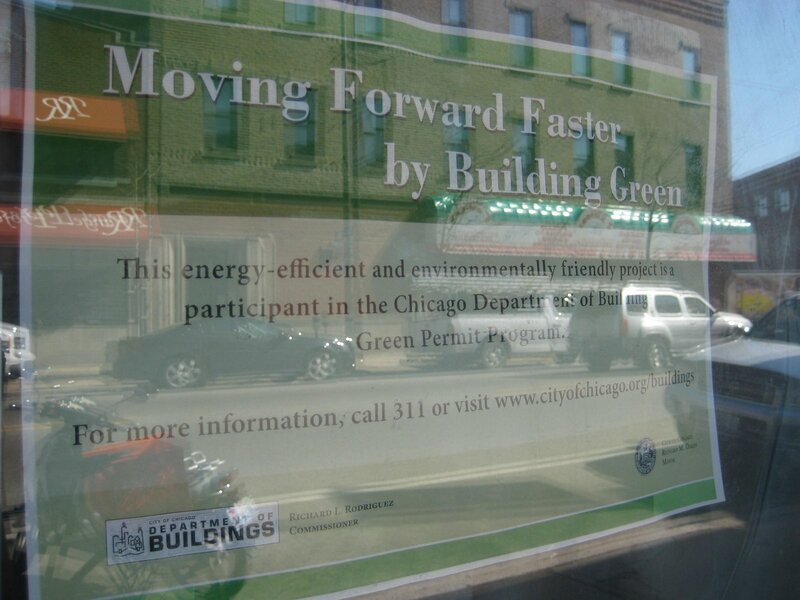 Its hard to believe how fast everything keeps changing!